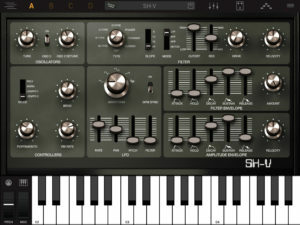 Syntronik comprises a huge collection of 22 powerful virtual synths as audio units. It recreats the legendary sonic signature of 44 of the most sought-after classic analog synthesizers and string machines ever created, recognizable by their elegantly designed, easy-to-navigate interfaces. 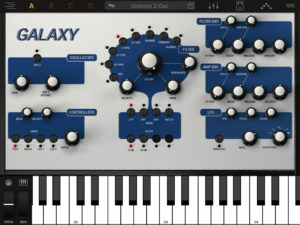 Thanks to IK’s exclusive DRIFT™ technology, which emulates the way real analog circuits behave over time, the astounding circuit-modeled filters and the multi-sampled oscillators, Syntronik is the most authentic sounding analog virtual synthesizer to date and is the one-stop solution for musicians, discerning producers and synth aficionados demanding utmost sound quality and extreme playability both live and in the studio. 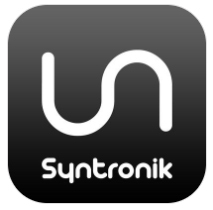 Syntronik offers Multis with 4 parts. Each part has its own synth, dynamic arpeggiator and a dedicated 5-slot effect section for unprecedented sound design flexibility, allowing for highly sophisticated sonic palettes.